This overnight anti-aging serum contains patented Retinaldehyde which is a highly stable form of Vitamin A. 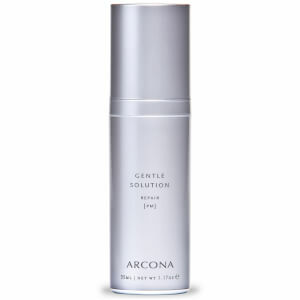 It helps to improve the overall appearance of discolorations, photo-damage, fine lines, wrinkles, and enlarged pores. It also combines a plethora of skin remodeling ingredients for maximum stimulation with minimal irritation. Replenishes, restores and improves overall skin tone. Use once or twice a week. Apply to neck and décolleté area. Leave on skin. Aqua (Water), Glycerin, Cetearyl Olivate, Retinal (Retinaldehyde), Palmitoyl Tripeptide-38, Palmitoyl Oligopeptide, Palmitoyl Tetrapeptide-7, Globularia Cordifolia Callus Culture Extract, Rubus Chamaemorus (Cloud Berry) Seed Oil, Perfluorodecalin, Perfluoroperhydrophenanthrene, Perfluorodimethylcyclohexane, Carnitine (L), *Helianthus Annuus (Sunflower) Seed Oil, Cyclodextrin, T*ocopherol (D-alpha), Aloe Barbadensis Leaf Juice Powder*, Perfluorohexane, Lonicera Caprifolium (Honeysuckle) Flower Extract, Lonicera Japonica (Honeysuckle) Flower Extract, N-Hydroxysuccinimide, Chrysin, Pentylene Glycol, Sorbitan Olivate, Squalane, Caprylyl Glycol, Sorbic Acid, Potassium Sorbate, Sodium Hydroxide, Phytic Acid. I've been using this for about three weeks. I started with twice a week and am now doing every other night. So far, I've had NO irritation so I may advance to every night. The morning after use, my skin is noticeably soft and glowing. My over-the-lip lines MAY be slightly softened but I'm not sure. I'm hoping continued use will bring even better results.Although the product is a little pricey, it's much more reasonably priced than many others. I also chose it because of its lack of nasty ingredients. I was confused as to why Arcona would release a second vitamin A-Retinol product and what the difference between the two could possibly be (and really, I still am: they do not do a good job of communicating the difference at all!) but I figured I'd give it a whirl. This one made an immediate difference! It is just a serum, so you definitely will want to use a moisturizer on top. I'm using the Magic Dry Ice for my newly dehydrated 52-year-old skin, and the combo is pretty phenomenal.